Rock the South, one of the most eagerly-awaited indie music festivals on the island, is set to open its doors on April 20 and The Sunday Times is offering readers the chance to win two weekend tickets to experience some 40 acts. A number of top local and international artists, bands and DJs will be performing during the festival’s seventh edition. These include perennial favourites Areola Treat and The Beangrowers, as well as punk veterans Rage Against Society and other outfits like Bark Bark Disco, Hearts Beating in Time, BILA, Beesqueeze, Double Standard, Heart of Darkness, American Airlines, Shlamizard, YEWS, Fuzzhoneys, Brodu, Cryptic Street, Lucy’s Last, Eyes to Argus, Pyramid Suns, Ferret, The Ranch, The PlaKard Project, Depth and Volume A, Ra & Fatz, KNTRL, Danjeli, Krishna, Lady Lizard and Earthrocker. International artists include Giungla and Soccer96, while Traskurat and Rock & Rave will close off with DJ sets. 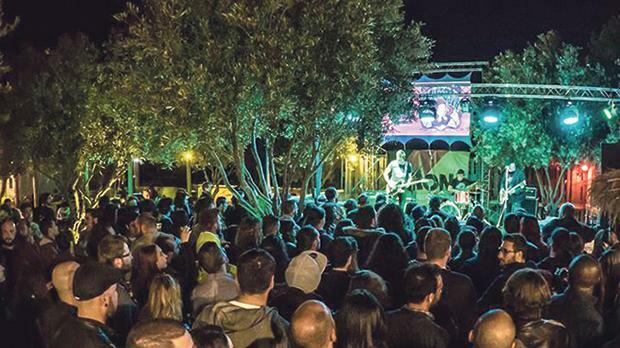 This year, the popular Silent Disco will be powered by White Noise, Kewn and Dark Wave Malta on Friday; Bass Culture and the Rock the South Malta crew on Saturday; and Freedom Fights and Electronic Music Malta on Sunday. All you need to do to be in with the chance of winning these weekend tickets is to tell us which act you are looking forward to seeing the most at this year’s edition of Rock the South. The answer that tickles our fancy the most will win the prize. The editor’s decision is final. Send your replies to rockthesouthcompetition@gmail.com by April 17 at noon. The winner will be notified by e-mail. The festival will take place on April 20, 21 and 22 at Zion Reggae Bar, Marsascala.